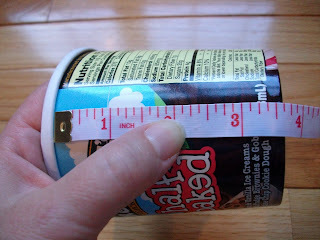 First step: Measure the top edge of the container just under the rim. 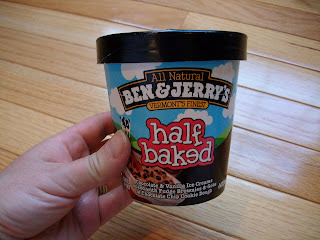 Add a little for over lap. 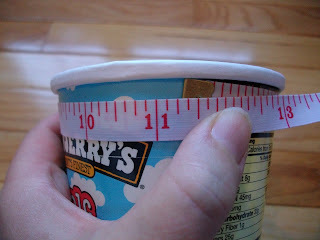 Measure the length from top to bottom. 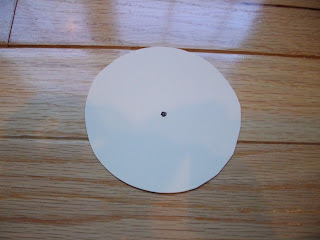 Add about 1/2" for turning under on the bottom edge. I cut my piece 11" x 4". 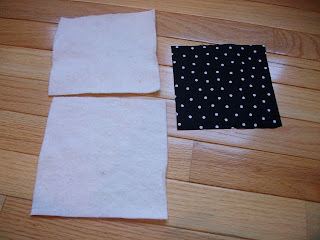 Here is where you will glue the fabric on. I used the spray glue like I used for the donut box. The spray glue works fast. 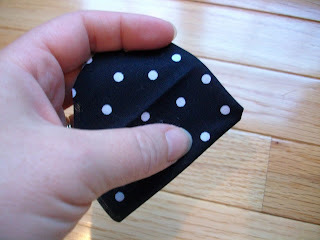 You have 15 seconds to place the fabric. 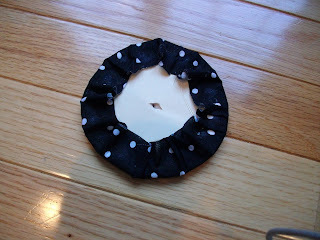 I scrambled...you need to place it and then work the pleats out evenly towards the bottom. 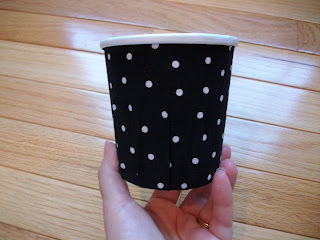 The cup tapers down at the bottom so there will be pleats, but it reminds me of cup cake papers (hint, hint for the next tutorial this week). 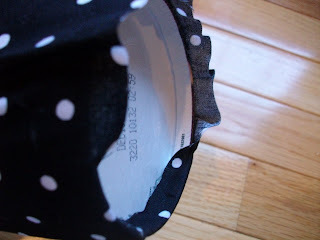 I used a little hot glue to seal down the seams of the 2 ends. I used hot glue for the rest of the project. 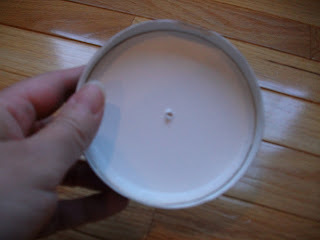 Here, I turned down the bottom edge and glued it in place. Now onto the cover. Trace the cover on thin cardboard, file folder or poster board. In this picture, I trimmed too much. 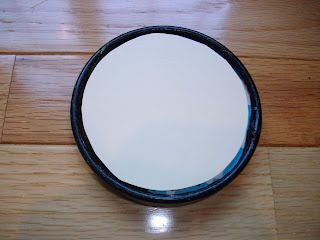 I re-cut another to the black rim, but forgot to take a picture. You will need fabric and batting. 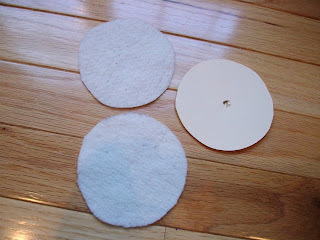 The picture shows 2 pieces of batting, but I suggest 3. I remade the cover, because I wanted it a little puffier. Your choice here. 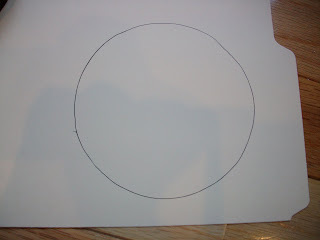 Take the cardboard circle and eyeball the center. Poke a hole with a pen (don't I sound so technical) These instructions would never pass the editor if I ever wrote a Tool Time book!!! 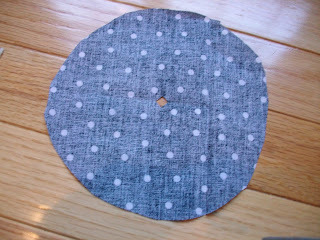 Trim the fabric to 1/2" to 1" larger then the cardboard circle. 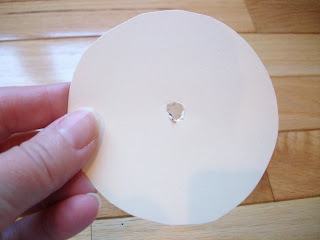 Cut the batting the same size as the cardboard circle. 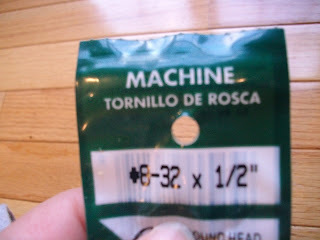 Two are shown here, but I used 3. 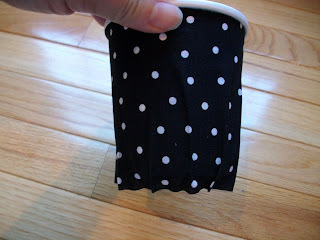 Find the centers of all fabric parts. 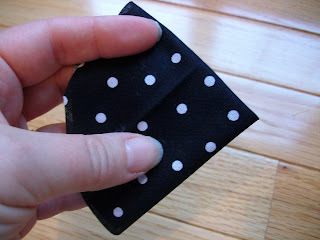 Fold into quarters and snip just a tiny little bit off the point. If you snip too much, you'll have a hole big enough to drive a truck through. No truck is getting through there. 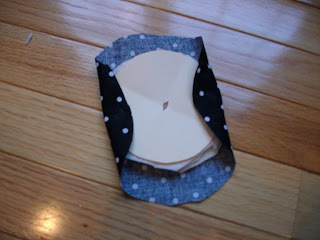 Layer all the parts: Fabric, batting to the wrong side of fabric and the the cardboard. 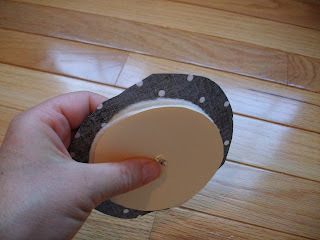 Now hot glue down the edges. 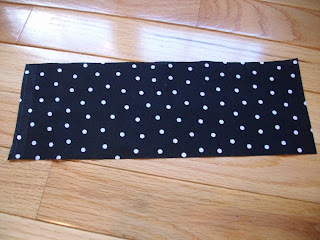 Start at one point, then do the other side opposite from that to keep the fabric even. Then do the other sides. Finish it off until it is neatly pleated. Now we need to attach it to the cover. 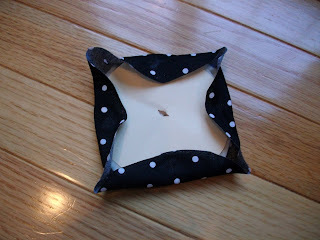 Take the cover and poke a small hole in the center. 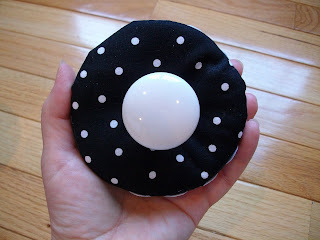 Here you will need the knob that I showed you in the other TTT. 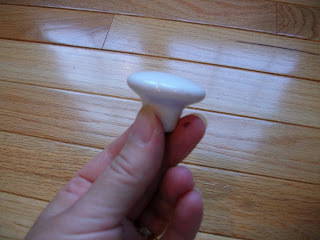 Knobs are made for cabinet doors, so they have long screws to fit the thickness of the wood. 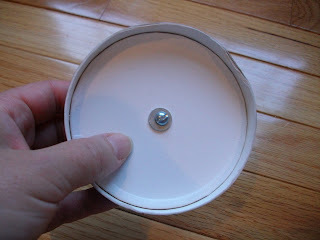 You will need to switch out the screw to a shorter one and you also need 2 washers. 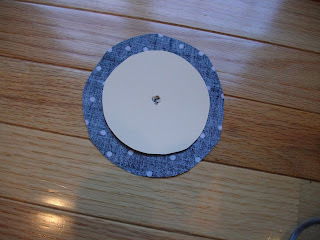 Don't take the washers from here, because you need those to make circles. 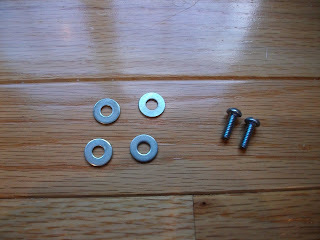 The screws that are for knobs are machine screws, because the have a flat tip. This size fits my knob. You may need to bring your knob to the store to find one that fits or just raid some one's tool box!! 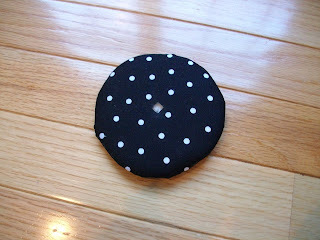 First, place one washer over the hole on the inside of the cover. Then stick in the screw. 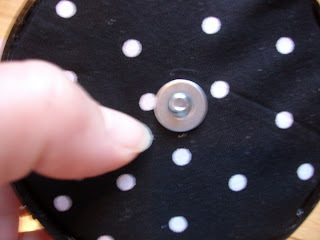 Place your fabric and batting circle on the top of the cover over the screw that has poked through. 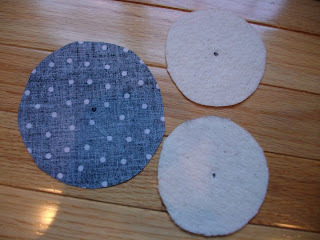 Now, place the second washer over the screw on top of the fabric. and twist it onto the screw. Hot glue some ric rac on the edge of the cover and you are done. 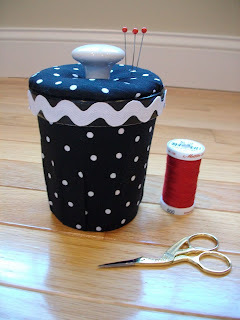 Again, you can use this for anything...a gift box, goody package, but since we all sew, I like the fluffy top part for a pincushion and the inside for all my hand sewing items. This is the perfect size for my hexagons. 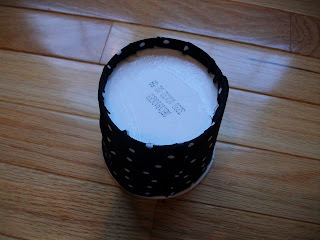 If you match it to your decor, you can leave it beside your favorite chair and no one will know your sewing is in there. Look for the next one probably Friday. I had to work an extra day this week and it's cutting into my creativity time!!! Karen...I love this! It is adorable and you did an amazing job! thanks for all your hard work!!!!! I just love your ideas...you are sooooooooooooo clever. 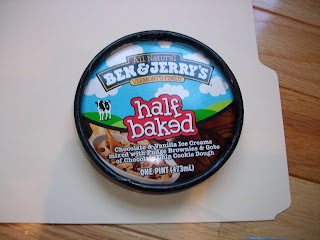 I love this idea, you ralise I will have to go and buy the appropriate ice cream just for a container the same. How cute! And I just threw out a Blue Bell container! Darn, I'll have to go buy another. Thanks for sharing. That is just adorable!! Love it. Don't you just hate when work cuts into your fun? This is beyond cute!!! Thanks for a great tutorial on it, too. Thanks for taking the time to put this together for the rest of us. That is too cute Karen. The ladies at my ASG group would love this. 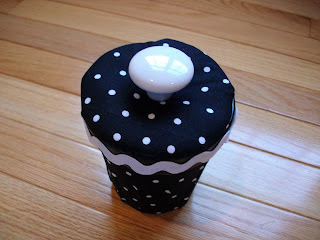 I really love the pincushion with storage! Looking forward to your next tool time! I don't even know what to say. Your projects leave me speechless - they are sooooo clever! You are one of the most creative woman I have ever seen!!! I've missed quite some of your posts, but I think this one is simply great! Have a lovely weekend! Too cute! Love the knob and ric rac. Karen, I just wanted you to know that I thoroughly enjoyed browsing your blog this morning. Your projects and ideas are very creative. 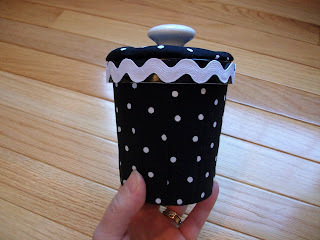 This recycled container is so cute and the polka dots are right up my alley! Great idea! 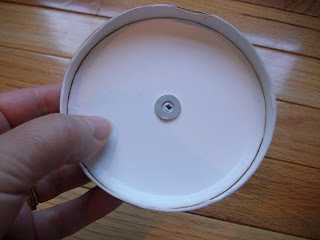 And these (or the box) would do well with the "Pizza Box Thingies" glued inside to keep spools of thread organized!